Yesterday I got a new Bengali student from New York,USA.Her Bengali language level is quite advance.We have just started our Bengali Online Class on last Tuesday.Actually her Bengali Language skill is quite good.She is able to understand most of my Bengali sentences and she can also explain different things in Bengali.Actually her parents are from Bangladesh and they use "Sylheti" Language at Home,this is a dialect in Bangladesh.My parents are also from Bangladesh.My father's family was from "Comilla" and my mother's family lived at "Jessore" .But I was born here at Kolkata,in India. My student contacted me in this last weekend and said "I am from the U.S., and reside in New York City. I am interested in taking Bengali lessons. I am of Bangladeshi descent, and have studied Bangla at the American Institute of Bangladeshi Studies in Bangladesh and with the American Institute of Indian Studies in Kolkata. I am an advanced level student, and particularly need help with reading, writing, and maintaining proper grammar while speaking. 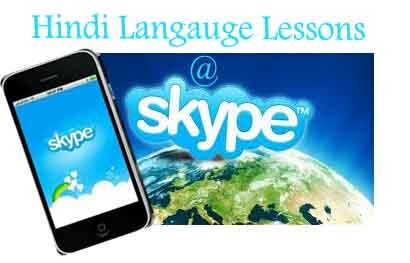 I am interested in learning Bangla for both personal and professional reasons - I would like to acquire fluency in my parents native language." And when I taught her, I came to know that US government is sponsoring her Bengali Course.Because USA has started this new attempt.America thinks it's good for Americans to know the most spoken languages(e.g Bengali) in the world.And it might help the Americans in their Professional field where they might need to interact with different communities ,Bengali too!! Is not interesting!! Today I will tell you about my first Bengali student and the difficulties I face to teach him.I got my first Bengali student 3 years ago.He was a small boy of 4th grade at school.His parents contacted me through one online Language school and requested me to teach their kid Bengali Online via Skype.Because the boy named "Harsho" didn't want to learn Bengali from them, so they needed a "Bengali Online Tutor" . They are a Bengali family from New York who wanted their son, to learn Bengali and able to communicate with their relatives in Kolkata,West Bengal. When I had started teaching Bengali to the kid-Harsho, he never wanted to Learn Bengali.So we had started with a half an hour class.And I know how difficult it was to keep that small boy for only 30 mins infront of the computer.I tried to talk a little, told stories,asked about his friends and gradually it helped to grow his interest towards Learning Bengali . And now he can Speak Bengali | Write Bengali | Read Bengali . I can not say he is now perfect in Bengali speaking , reading or writing ,but he seldom did his Bengali homework and didn't put a lot effort to Learn Bengali and in respect to that his improvement is awesome !! And his parents are also happy to see Harsho is now able to speak,read and write Bengali. I am also so pleased . You know still now, if I ask him to write ,he says "I lost my Bengali copy" :) .Because still Harsho is not so big ,just in 7th grade at school.So I think it's considerable !!! What you say? So if you want to Learn Bengali Online,searching for Bengali Classes in USA or UK(London) just contact Talkingbees.com .Even if you are an Indian and wants to Learn Bengali- you can learn with a special price .Contact Me for more information. Today I got surprised to receive an email saying he wants to take a few "Hindi Skype Lessons" for the "Hindi Language Test".I just posted a success story of a Hindi Language Students few days before and I got this email in 2 or 3 days. After the first student I taught I got 3 more students and I prepared them for the same Hindi Language Test.Each had different levels.Few were good at listening skills ,few good at Hindi grammar,few had a little Hindi speaking skills and few started from scratches.But all have tried so hard to reach a level 2 for the test. I am so happy to help my students in their Hindi language Test and to get their desired job.If I think about the time when they have just started "Learning Hindi",I can't imagine now as they have been improving more and more.The credit directly goes to their effort.I can suggest what they need to do to improve their Hindi,but if they don't learn ,I would have nothing to do.But I must appreciate they learned consistently, increased their vocabulary,practice speaking,reading writing Hindi regularly.And regular Hindi Speaking Practice classes(Conversational Hindi Class)help them a lot. So if you are also going to take "Hindi language Test" for Foreign service and need help please ask me.I will be glad to help you too with "Hindi Skype Lessons".